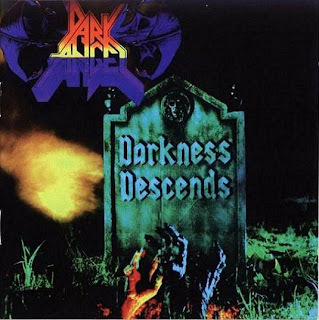 Most metal fans, thrash or not, at least have seen the lyric 'The city is guilty/The crime is life/The sentence is death/Darkness descends'; that comes from this legendary thrash album, and although Kerry King around the time called DA 'Slayer rip-offs' (let's face it, he would call Black Sabbath the same thing), this album is far more brutal than anything Slayer themselves ever released, without losing the hooks (however, Slayer is probably quite a good starting point to describe their sound). N.B. This features bonus tracks of live versions of Merciless Death, Perish In Flames, and Darkness Descends.